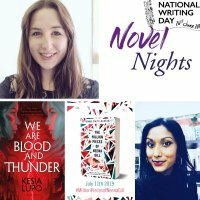 To celebrate National Writing Day, authors, Emma Smith-Barton and Kesia Lupo will discuss writing YA novels and how to get your work published. Emma Smith-Barton is the author of YA novel The Million Pieces of Neena Gill (coming July 11th 2019 from Penguin Random House). Before writing, she taught in secondary schools for six years and is passionate about increasing awareness of mental health in young people. She has a BA in English & Creative Writing from Warwick University and a Creative Writing MA from Bath Spa. Kesia Lupo studied History at Oxford University and Creative Writing at Bath Spa. She lives in Bristol with her husband and works as Senior Editor for Chicken House, writing in the mornings before work. We are Blood and Thunder is her first novel for young adults. Chicken House is an independent-minded children's book publishing company based in Somerset with a special enthusiasm for finding new writers, artists and ideas. Among others, they publish Kiran Millwood Hargrave, Maz Evans and the Maze Runner series. 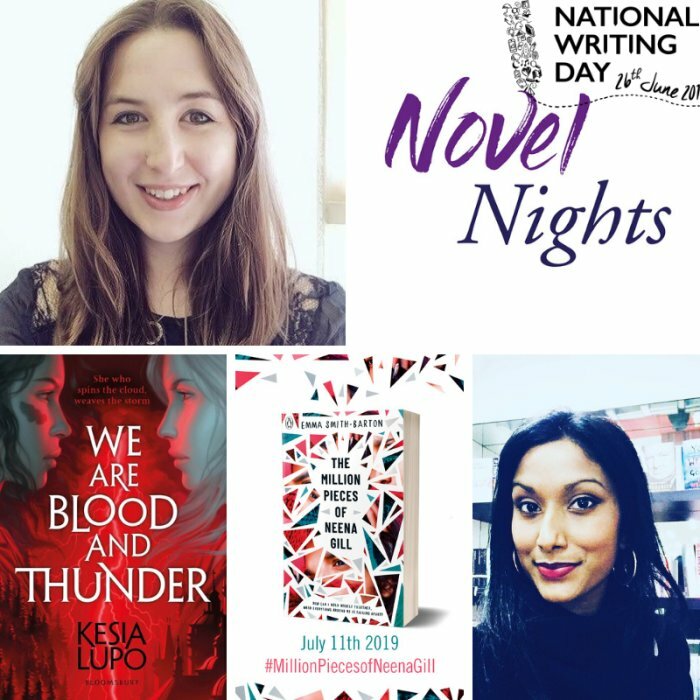 National Writing Day aims to inspire creative writing on a grand scale - young people are more inclined to write creatively if they see adults around them doing so and writing can benefit people of all ages. National Writing Day welcomes participation from any individual or group, regardless of age, gender, cultural or economic backgrounds. It promotes all forms of writing and encourages communities to join in via a programme of public, educational and online activities. National Writing Day is coordinated by literacy charity First Story and delivered in partnership with a host of national partners. National Writing Day builds on First Story’s year-round work running creative writing projects in schools in low-income areas to encourage creative expression and self-confidence. The day is made possible with support from Old Possums Practical Trust and Arts Council England.